My old boss would always tell me that he wasn't an alcoholic, "Alcoholic's go to meetings, I'm just a drunk." Words to live by, I suppose ... as long as you can make sure you get on the liver transplant list early. But speaking of alcohol. It's Friday ... AND ... the fine folks at Reyka sent me a bottle of Reyka Vodka so that I could hold a tasting as well as a list of bars in Boston that serve it. 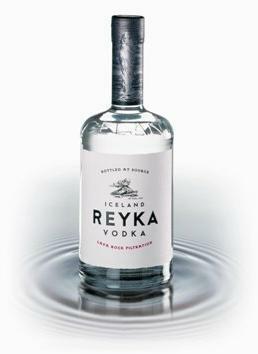 Reyka Vodka is well known for its distinguishing and unique characteristics, such as it lava rock filtration, Carter Head still distillation and use of some of the naturally purest water in the world, which have helped to elevate Reyka to high esteem since the distillery’s founding in 2005. Judges of the Fifty Best Competition recently gave Reyka high marks, praising it as smooth, clean, assertive, rich, silky, with a medium body, strong taste, nice, long finish. I invited some friends over and am going to have the tasting tonight. We'll see how it holds up to what I usually drink - Chopin. For those of you that follow my twitter, I'll be sure to tweet about it. If you're interested in trying Reyka, here's a few bars I was told that serve it: Alibi, City Bar, Eastern Standard, Church, Goodlife, Temple Bar, Om, Tremont 647. It's Friday and it's five o' clock somewhere. It's vodka soda time - with 2 limes. Click (here) for the Reyka website. 2 Response to "Reyka ... It's What's For Dinner"
How did you like the Reyka? It's definitely one of my favorite vodkas, and it's not too expensive.